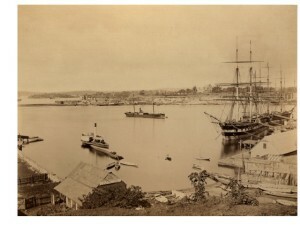 Description: Great photograph of Circular Quay as it was in 1880. It is impossible to believe that this sleepy looking harbor is one of the busiest places in Australia today. Archivally matted.